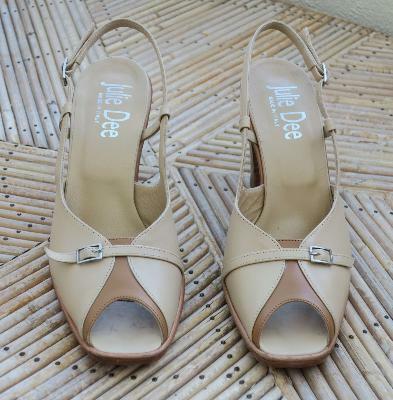 Marque Julie Dee, fabriquées en Italie. La pointure indiquée est 38 mais elles taillent grand => 39. 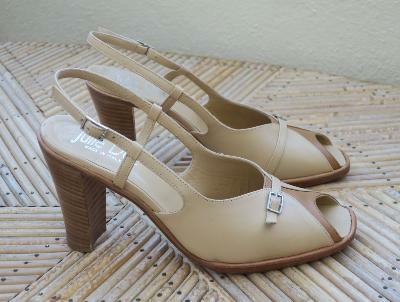 Retro brown/beige leather heel shoes. 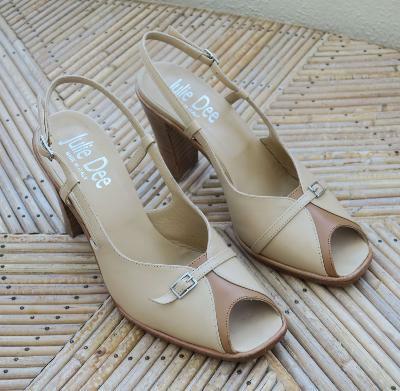 Brand: Julie Dee, made in Italy. The heel measures 10 cm. The size written on the shoes is 38 but they fit large => 39.